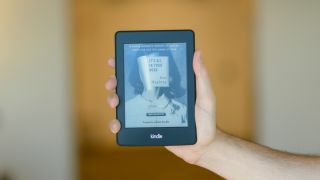 Amazon has launched its Kindle Unlimited service in the UK, offering subscribers unrestricted access to a library of thousands of titles for a monthly fee. For £7.99 per month, Amazon's 'Spotify for books' gives users over 650,000 books and thousands of audiobooks, all of which can be enjoyed on Kindle ereaders and other devices running the Kindle app. But while that collection of titles might be plenty, it's just a portion of Amazon's entire library, so you won't be getting the whole shebang. Still, it's certainly not a bad deal, and one that's sweetened by a 30 day free trial. Amazon's also enticing would-be users with the promise of both the Harry Potter and Hunger Games series. You can go try it out right now.